Just over eight weeks ago, on a run that I would have been immensely proud of had I finished, I strained my calf. Today, I can say that I'm back. It's a relief and has been a learning experience - probably one that I would have learned if I had been a proper runner in my twenties. On that fateful run on 21 January (now I've probably already described this day but not the background, so please indulge me to go over the top with detail - it's a reflection I hope I learn from), I'd been ambitious - I decided to complete a newly conceived route, the double peak half-marathon, where I ran both One Tree Hill and Mt Eden with a total half-marathon distance. The previous weekend I felt I'd made a breakthrough with both of those mountains ascended with relative ease on a 18km loop and felt I had a new "cruising speed". It seemed that even with moderate effort I could maintain a sub-5 minute pace in between the peaks. And I felt good. 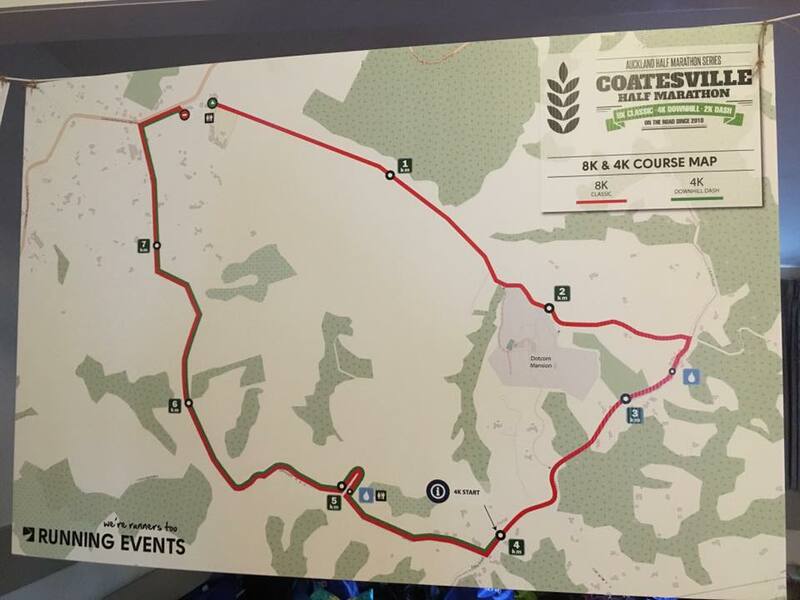 I had already cut back on distance running because I was focussing on a half-marathon in Coatesville. I converted from semi-frequent long runs to more regular shorter runs. In the week before my injury I ran on three consecutive days. Perhaps that was where my over-ambition began: the second run was a new personal best for 10km. Making new personal-bests feeds the desire to go bigger and bigger. 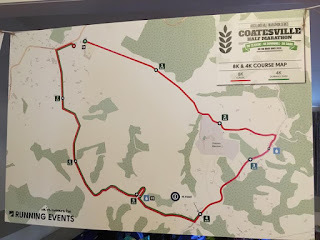 The three consecutive runs were all fast and strong, the third being a 7km run where I sprinted the last kilometre, which made me realise I was capable of a sprint finish at the end of a run. All three I was to the limit of my ability, I felt. I set my previous plan in stone: A rest day, Friday. A half-marathon dress rehearsal on Saturday 21 January. After that I could focus again on shorter runs and just do the distance again before tapering. Saturday 21 January started sublimely. I got to the top of One Tree Hill a minute an a half faster than the previous weekend. Over 6km's, that's running every kilometre 15 seconds faster - that is a massive increase. And I wasn't feeling that much worse for wear. I managed to find that new normal "cruising speed" and made my way to Mt Eden on a longer route and was now 3 minutes ahead of myself. After descending though, perhaps as an omen, I felt tightness in my knee, which was unusual for me. I slowed down a little and it too disappeared. I hit Valley Road, which is a delightful downhill segment and felt great again. I turned the corner onto Dominion Road, the relative flat to the end and that's when I felt the strain. It meant I forwent training for well over a month and had to slowly build up once again in March. Today's run was just past what would have been advisable to run. Rewinding, every single run wasn't bad but together they were always going to injure me, if not the 21 January, the 23rd. Listening to a running podcast, I heard the idea of a recovery run, which is simply the run the day after you go bananas on an ambitious run, where you just let it all hang out and not worry about time. I'd never done that before: every single run I was aiming to exceed my previous self. The maxim of listening to your body is great, but my body was saying all was fine. It needs a rational judgement, like that of a coach, to say that several of your runs must be expressly for recovery and to schedule them, in spite of the over-exuberance that comes from success. Today marks my recovery. I ran 8km in 36.39, 4:34 minutes per kilometre. This is on par with the best I ran pre-injury. The route itself was an interesting beast and part of the success was that I approached it rationally and my training suited the course. It was essentially a 3 kilometres of smooth ascent, 3 kilometres of flat and 2 kilometres of smooth descent. My normal training has included hills, whether they be the grinding subtle incline of Landscape Rd to Mt Eden road, or the steep Landscape section to St Andrews, which were my common access ways on runs to the east, not to mention the volcanoes in my immediate vicinity. I knew if I went up the 3km section at good pace, I'd be able to sustain a reasonable pace on the flat and the descent. It worked well - even with the sub-optimal training. For my spirits, it was good to get to a fast start, overtake a few people and not be overtaken by many. The last segment I literally heard someone breathing down my neck. (Well, perhaps not literally, but heard the breathing loud and clear and the person was just behind me for the last 500 metres.) I may have stopped surging early too as there were two arches at the finish - the last one being the actual finish. And they'd warned us as well that the final section was a grassy section with potholes and warned us that we should be careful where we put our feet. I half-thought I'd finished and also was very mindful of the surface. My next target is the Rotorua half-marathon in May. I'd like to get back to the distance running form I was in 21 January, but with a bit more prudence of course, and then use the solid platform training for that would give me to run a marathon before the end of the year. Training options are opening up again although I still need to temper them with the knowledge that my legs are always going to be prone to niggles and recovery runs are just as important as personal-bests.